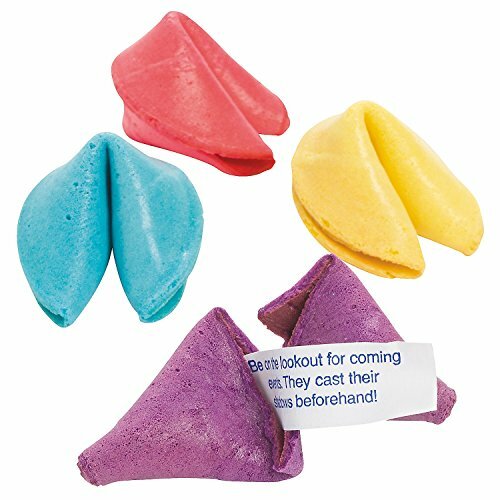 Scatter these Happy Birthday Fortune Cookies on tables to create a bright and edible decorations! Dive into these cookie delights to reveal the birthday messages. Find lots more fortune cookie fun on our website! Individually wrapped. If you have any questions about this product by Oriental Trading Company, contact us by completing and submitting the form below. If you are looking for a specif part number, please include it with your message.